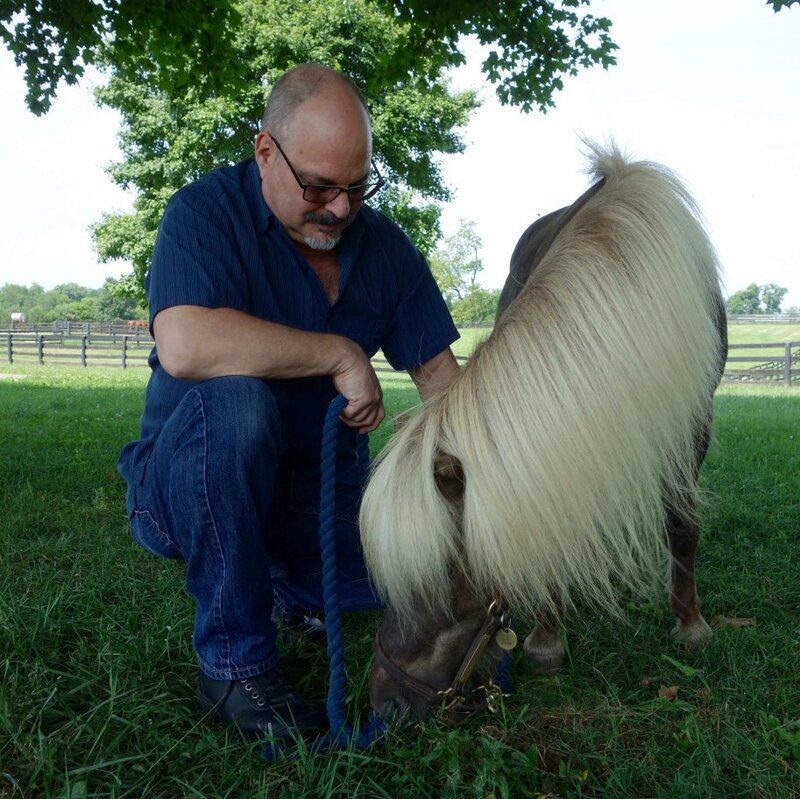 Little Silver Charm and author Dan Rhema have asked me to announce a very special event. 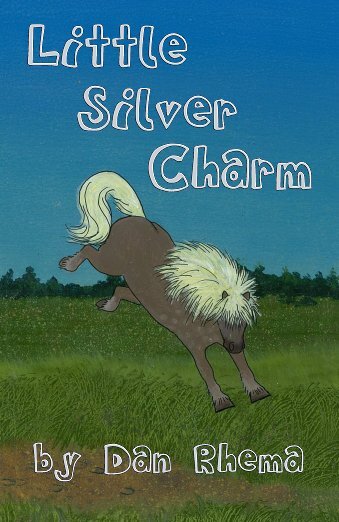 In fact, Little Silver Charm assures me it may well be the literary event of the decade: a book about Old Friends’ most important personage. Its title? What else? Little Silver Charm. Dan Rhema, author of Bluegrass Breeze, screenwriter, and longtime Old Friends supporter, spins a fun fantasy of fictional adventure, mishap and mayhem on an imaginary farm that just happens to be called Old Friends Farm, happens to be run by a couple named Michael and Diane, and—purely coincidentally—provides a home to retired race horses. Dan Rhema & his inspiration for the Starring Character. 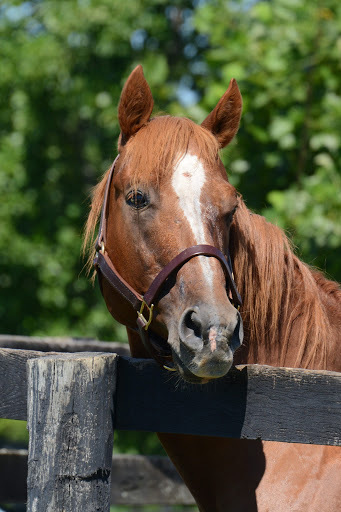 In real life, Little Silver Charm was bought for $40 off of a slaughter truck at Rockingham Park. He’s the only one who knows who he was before that, or where he came from. But the fiction story reverses that. 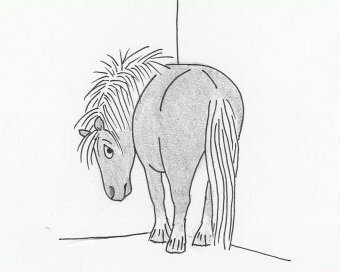 In this story, as Little Silver Charm is chased by dog catcher Earl Lumpkin and his goofy hound, Cletus, the miniature horse bumps his head. Michael harbors him at Old Friends Farm, but the mini wakes with amnesia. Who is he? Where does he belong? In his quest to find out, he is befriended by two barn rats, an owl, a skunk, and of course, the Thoroughbred residents of Old Friends Farm. Earl and Cletus are still determined to get him, and the adventures are fast paced, funny, and full of heart. Little Silver Charm is a wonderful kids’ book, but it’s going to be on my Christmas list for some of my favorite grownups this year. Look for this first book from Old Friends Press this October in our gift shops, at online book sellers, and in shops in the Lexington area. 50% of the book’s profits will be donated to Old Friends. And soon, look for Little Silver Charm on its own web site. Watch Old Friends’ social media and web site for developing news. There’s a rumor about that The Man (The Mini, that is) may even review this book himself. This summer has been our busiest and most exciting ever. 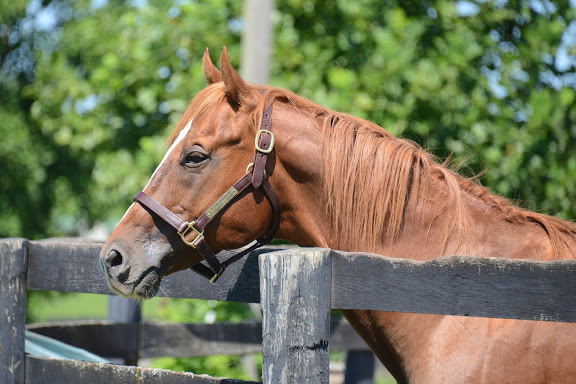 It’s way past time to catch up on the blog, and how better than with a few impressions of our wonderful new resident, Genuine Reward. It’s true. 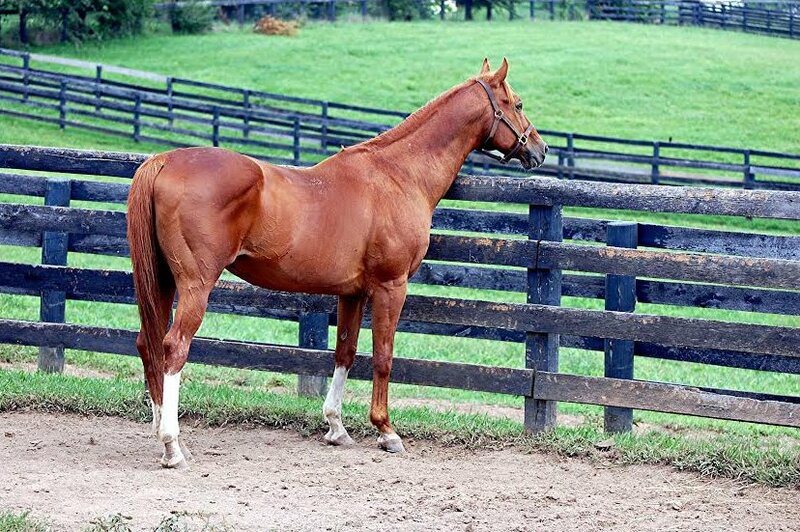 He does look very much like his 1980 Kentucky Derby-winning mom, Genuine Risk. He arrived in excellent condition. This, and his trust of people, make it clear he has been well cared for. He’s proving to be a bright, inquisitive and kindly stallion. We’re already very much in love with him. But don’t take my word for it. 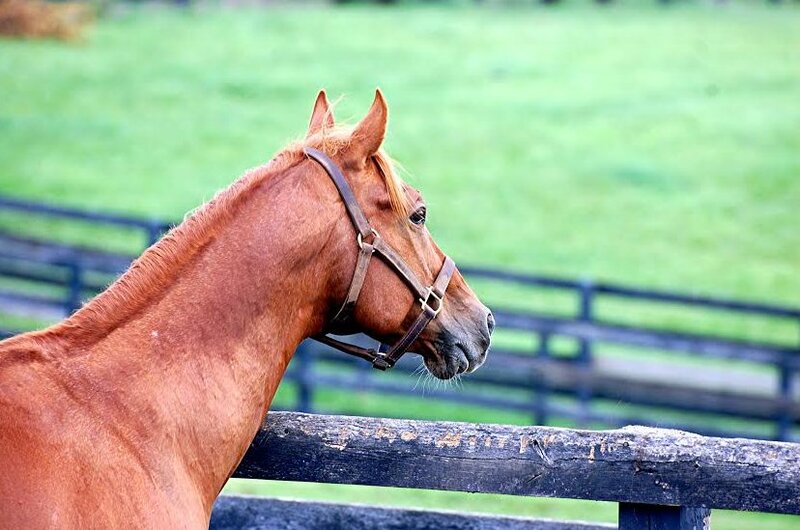 See him for yourself in this local news spot, filmed and aired yesterday on Lexington’s Channel 27, with our barn manager Tim Wilson and Mixed Pleasure’s very own John Bradley. For now, Genuine Reward is still in quarantine. We hope you’ll come visit him beginning Aug. 15!